What if I Don&#39;t Have Insurance? Pet insurance works like medical, auto, or home insurance, protecting you from financial loss when your cat or dog is sick or injured. The question is, is it really worth the cost? How much money does pet insurance save you? Compare prices and know for sure if pet insurance is worth it for your pet. Ninety-five percent of Americans who have pets say they view those pets as family members. Like any other member of your family, pets can suffer from sickness or injury. But while 91% of American people have health insurance coverage, only 1% of American pets are insured—with most people funding their pets’ medical expenses out of their own pocket. In principle, pet insurance is similar to other types of insurance such as medical, auto, or home insurance. By taking out an insurance policy for your pet, you protect yourself from the risk of financial losses caused by large vet bills. The large pet insurance companies have policies for dogs, cats and, in some cases, other pets. Like other types of insurance, policies include a deductible (what you pay up front) and limit (what the insurance won’t pay). The best pet insurance companies promise to reimburse 70% to 90% of costs above the deductible. The range for deductibles is typically $100 to $500 (usually per year, although sometimes per incident). Like other types of insurance, customers have the option of increasing their deductible to lower their monthly premium. How Do the Costs Vary? Several factors go into determining your monthly premium, namely your pet’s age and breed, the level of coverage, and the size of the deductible. As your pet grows older, they’ll generally become more expensive to insure. Breeds that are prone to illness generally incur the highest vet bills and are therefore the most expensive to cover. For example, Bernese Mountain Dogs, Newfoundlands and Rottweilers top the list of dog breeds that incur more than $1,000 in medical fees each year and the insurance premiums for these breeds are therefore higher. Accident & Illness generally covers exams, emergency care, surgeries, and prescribed medications for accidents, illnesses, and hereditary conditions. Accident-only coverage covers new injuries and emergencies related to accidents. Most insurers charge extra for preventive care. None cover pre-existing conditions. 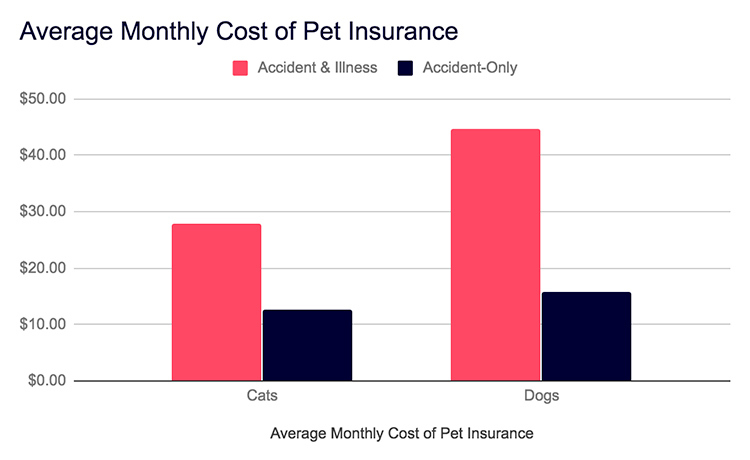 In an effort to reduce prices, some pet insurers offer a few versions of the standard Accident & Illness coverage. Elite, which includes everything in Plus as well as rehabilitation, acupuncture, and chiropractic coverage. Other insurers, such as ASPCA, offer coverage for advanced treatments like chemotherapy, stem-cell therapy, and acupuncture as part of their standard Accident & Illness coverage. Pre-existing Conditions that occur before coverage begins or during a waiting period. Costs associated with breeding or pregnancy. Preventive care, such as annual wellness exams, vaccines, and screenings. Behavioral issues related to anxiety or compulsive behavior, including excessive licking, fur pulling, and destruction of the home. Here’s a comparison of some of the most common pet breeds with online quotes from PetsBest, and ASPCA. This example uses Accident & Illness coverage for a 5-year-old pet in California, with 90% reimbursement and a $250 annual deductible. It’s important to note that the different insurers offer different levels of insurance, and costs vary as a result. This table is for the purposes of comparing the monthly cost of insuring different breeds and not for comparing different providers. 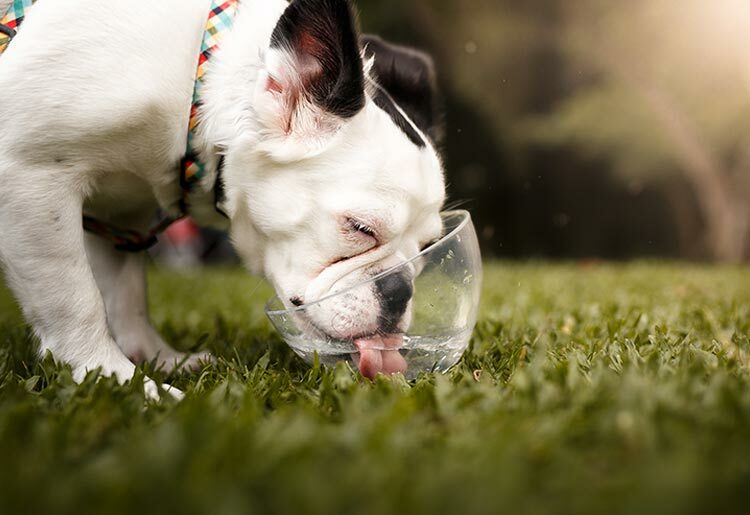 For full reviews of the top pet insurance companies, click here. PetsBest charges $11.00 for dogs and $8.00 for cats, making accident-only insurance about 4 to 11 times cheaper than accident and illness for dogs and 2 to 3 times cheaper than accident and illness for cats. ASPCA charges $21.98 for dogs and $14.77, making accident-only insurance about 2 to 6 times cheaper than accident and illness for dogs and 2 to 2.5 times cheaper than accident and illness for cats. To understand how reimbursement limits, reimbursement percentages, and deductibles can affect your coverage, we played around with Embrace Pet Insurance’s comprehensive plan for a 5-year-old German Shepherd. These prices don’t take into account the 5% discount Embrace offers for pets that have been spayed or neutered. On average, routine check-ups cost $257 for dogs and $182 for cats, while surgery costs $474 for dogs or $245 for cats, according to the American Pet Products Association. However, some types of procedures and surgeries cost far more. CT scans cost around $800 on average. Organ transplants can cost anywhere from $10,000 to $20,000. This is a question pet owners must answer for themselves. Just like medical insurance for humans, it’s best to get pet insurance when your pet is healthy and isn’t suffering from pre-existing conditions that rule it out for coverage or lead to you being charged a higher price. You can’t put an exact price on future veterinary costs, but you can put a price on piece of mind. Hopefully your pet lives a long, healthy life and, if they do, then at the very least the $200-$1,150 you spend on insurance each year will have bought you a good night’s sleep. In the unfortunate event your pet does need expensive medical care, insurance will spare you the dilemma of digging into your hard-earned savings and keeping your loved one healthy.